COOL VEST™(short) Breathable 1 to 18 lb. Weighted Vest Supplied with 18 lbs. COOL VEST™ is the “Ferrari” of weighted vests. The sleek design of this patented vest combines IRONWEAR®’s soft Flex-metal® weights with a wide array of high performance features unmatched by any other weighted vest. 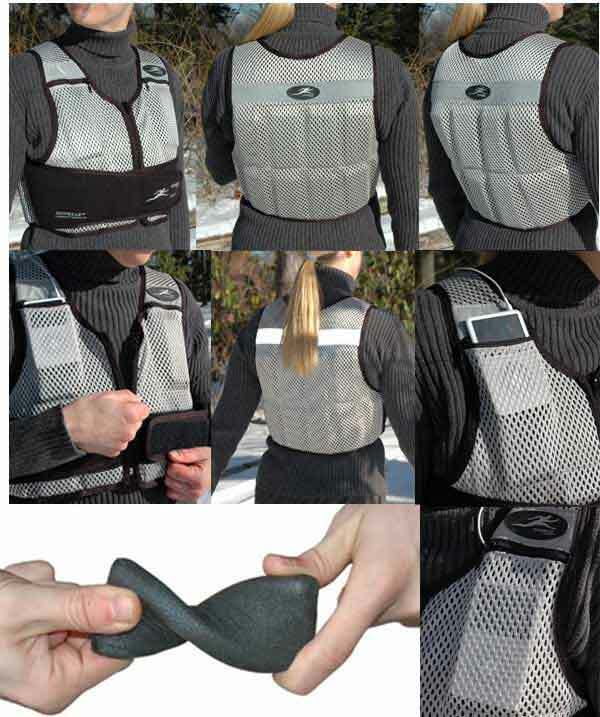 COOL VEST™ (short) is supplied at 18 pounds, but can be adjusted from about 1 pound up to 18 pounds by adding or removing ½ pound Flex-metal® weights.